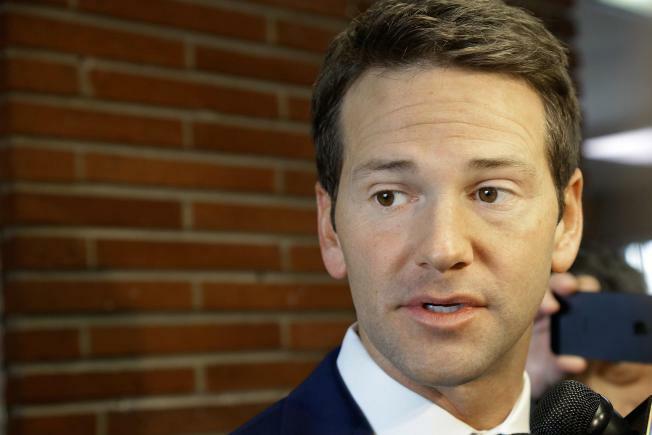 Once one of Illinois’ brightest political stars, former congressman Aaron Schock pleaded not guilty Monday, to charges that he looted his campaign and office accounts to fund a high-flying lifestyle. Schock was indicted on 24 counts last month, charges ranging from falsification of election filings and tax returns, false statements, mail and wire fraud and theft of government funds. In court, it was revealed that Schock has been working at two jobs, and he was granted permission to travel to Los Angeles where he reportedly now maintains his primary residence. The former congressman was given permission to talk to some witnesses who are members of his family, but ordered not to discuss the case. Schock reportedly has about $379,000 remaining in three separate campaign-related accounts. The judge ruled he can use those funds to help defray costs of his defense. Schock’s trial was set for February 7, a date that almost certainly will change.